When I'd figured it out, I realised it was actually two meme's rolled into one. No wonder it looked like war and peace! So I've decided to just go with low number! 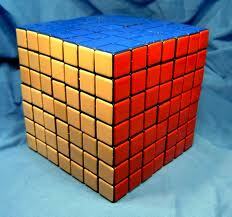 I put 7x7x7 into Google and got this...WTF?? Well the first isn't a blog, more a photographylogger (???) Its NE Lights run by a thoroughly decent chap called David, who happened to be my boss for more years than either of us want to remember. He's a budding landscape photographer and really rather good! Another one to make me cry but for different reasons is Carrie's War, her blog talks about the final months with her husband and how she and her son are now living after. Very touching. I know this blog will have been recommended a lot in the mum's community, but MammyWoo is another must read. With the tag line ' I used to be cool but now I wee when I laugh' gives you an idea of the humour, but doesn't prepare you for the heart wrenching honesty and beautifully written posts of dealing with post natal depression. Puttylike is a blog to dive in and out of, something for everyone. It's got a real lovely feel about it. Give it a go! I suppose my next submission isn't technically a blog, but an e-magazine, a collection of blogs. But I am a little in love with Jane, the editor of String of Pearls. She has been very supportive over the last couple of months and especially with my cancer diagnosis. If she wasn't so far away in Australia she is definitely someone I would try to meet! The e-magazine is a cracking good read too! A little change of pace would be Slimming Eats. As someone who is dieting but still loves food, there are some cracking recipe's, hints and tips on there. @OvenuOvenValet Who is just wonderful and loves a kitchen gadget! I've lived in the same town since I was 2 years old and have no plans to move away yet. I think I managed to not give too much away there, but still tell you something you didn't already know, result! you're actually a excellent webmaster. The web site loading speed is amazing. It sort of feels that you are doing any distinctive trick. Moreover, The contents are masterpiece. you have done a great activity in this topic! to be happy. I've read this post and if I could I wish to suggest you few interesting things or suggestions. Perhaps you can write next articles referring to this article. I want to read more things about it! your blog. I too am an aspiring blog writer but I'm still new to everything. Do you have any tips and hints for newbie blog writers? I'd definitely appreciate it.